November 29, 2018 By Aileen Leave a Comment This post contains affiliate links. As an Amazon Associate and member of other affiliate programs, I earn from qualifying purchases. 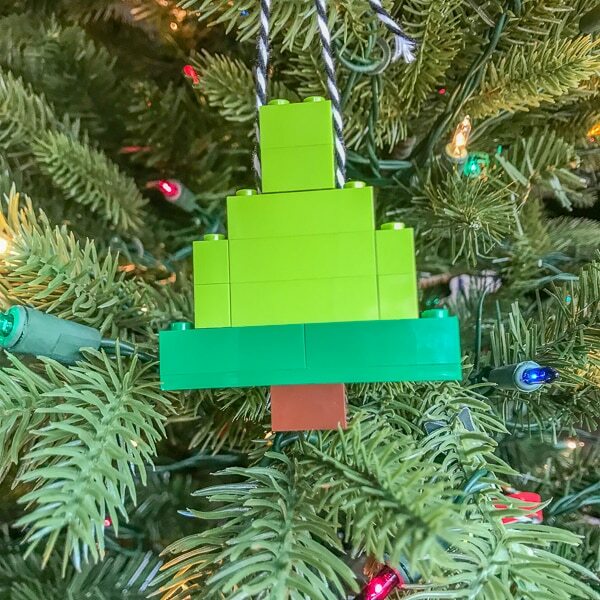 Make these simple and fun LEGO ornaments for a fun and festive Christmas tree. Thank you to the LEGO Group for sending us a sample set. My kids have been really into making their own ornaments this year. I pretty much let them take over the Christmas tree and decorate as they saw fit (just like we did on Halloween). The only innocent bystander was the Baby’s First Christmas ornament I got in Disneyland when Allison was just a baby. Sadly, I didn’t think about the very few breakable ornaments we had in our collection and didn’t warn Katie. Anyway, we let the kids decorate the tree this year. Most of our ornaments were hand-made ones from years past, so we let them do it all. It got them excited for the season and inspired them to make many more – mostly out of paper and pipe cleaners. So when I found out about the LEGO #BuildToGive program, I knew we would participate. The kids had so much fun with it, I decided to share it on here with you, too. 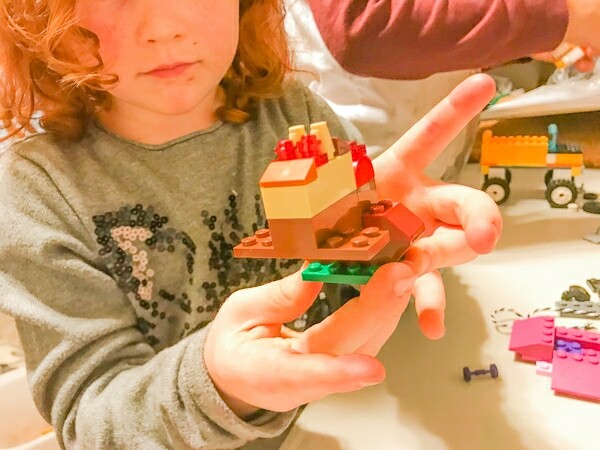 Now through December 13th children of all ages are invited to come into a LEGO retail store, or build from home, a brick ornament. 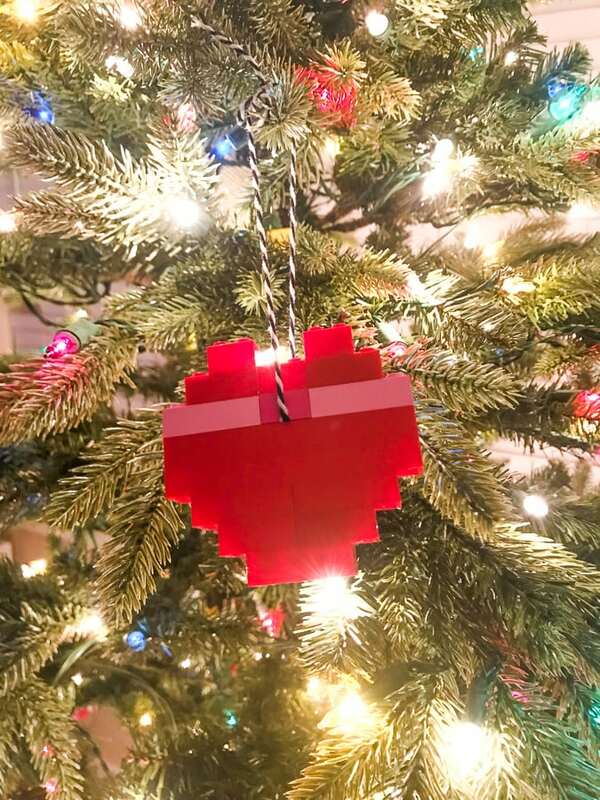 For every LEGO ornament built and shared, the LEGO Group will donate one LEGO set through local charity partners, giving 500,000 children around the world the chance to play. They have already donated 10,000 sets across the globe. How awesome is that? We did mostly free-building but did follow the directions for building a Christmas tree with LEGO. That was the first ornament we made and both kids were so proud. After that, I made a heart-shaped ornament. It inspired them to build more LEGO ornaments out of their own creations. Make sure you scroll to the bottom to see Katelyn’s pink and purple “bridge” she built for our Christmas tree. It’s really easy to do. 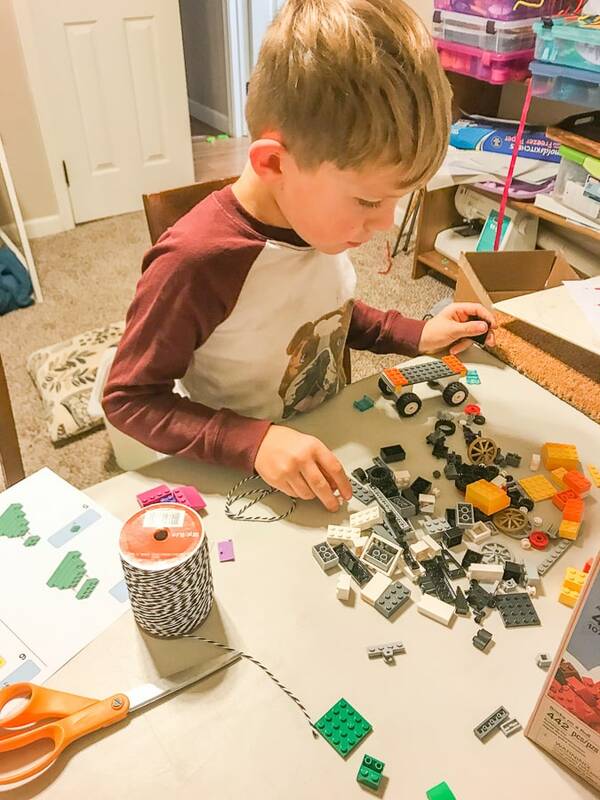 Either print out directions for LEGO ornaments here (there are several ideas including a snowman and a candy cane) or build your own creation. Cut a piece of twine, about 6 inches long, and secure it under a brick in the center of the creation. Tie a knot in the other end and hang the LEGO ornaments on your Christmas tree. Make sure you post a picture on social media using #BuildToGive so the LEGO Group donates a building set to a less fortunate child. 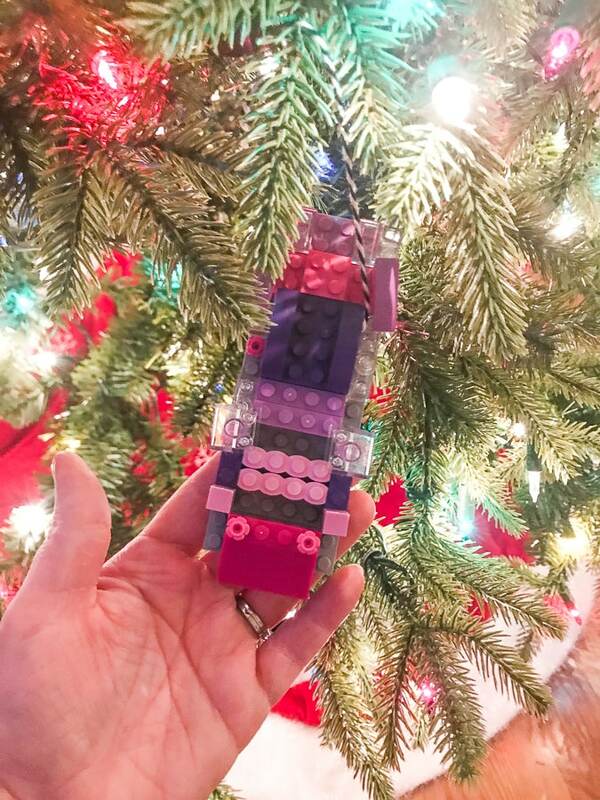 Have you ever made LEGO ornaments? 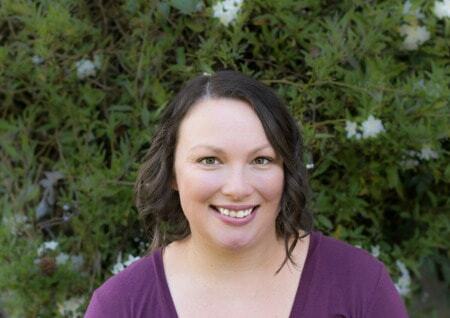 I would love to see them – tag @aileencooks in your posts!